You must make reservations at least 5 minutes in advance of the time at Xtra's Cafe. There is a free public parking deck located directly behind Xtra's. The deck can be accessed on Crenshaw Street which is one way going towards Cary Street. 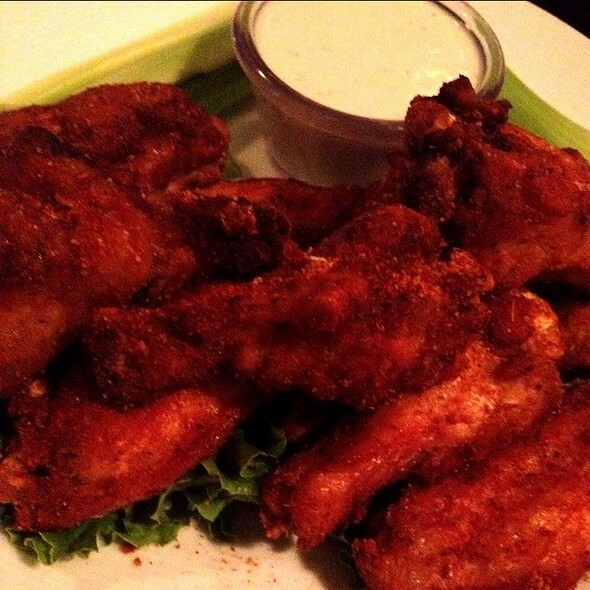 Happy Hour Monday-Friday 4:00pm-6:30pm features $5 Appetizers. Trivia every Thursday night from 8:00pm-10:00pm. 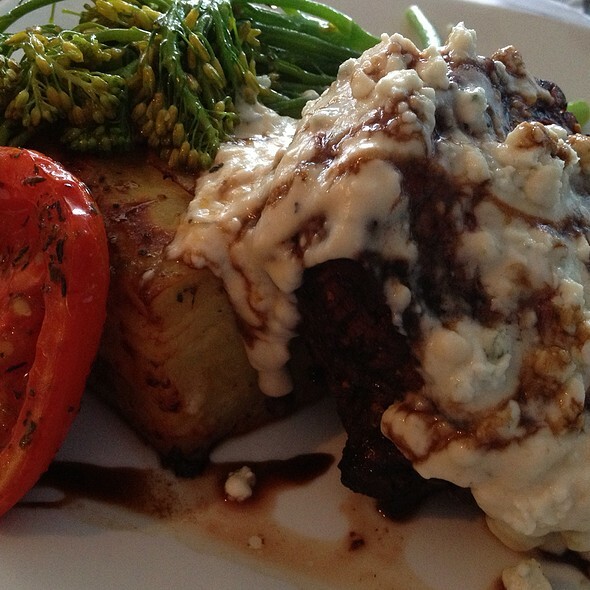 Xtra's is a locally owned restaurant with the area's only balcony overlooking Cary Street. 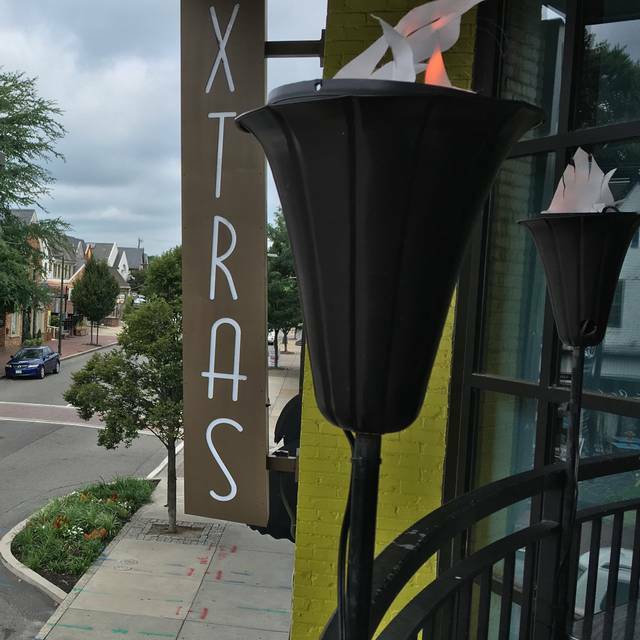 Located in Carytown above Bangles and Beads, Xtra's provides sophisticated dining with a laid back atmosphere. Specializing in flatbread pizzas, specialty salads with house dressings, and a variety of pastas and globally inspired entrees. Xtra's is the perfect place for lunch, dinner, and late night cocktails. Noise level was definitely due to our party, so that's the only ready why I gave it a "Moderate" response. We had a blast and our server was outstanding. The food was delicious and everyone had a great time. Thank you all so much! Absolutely love Xtras. It's a small, family owned restaurant/bar and they always recognize us when we go in. Service was terrible. Had to ask the host to send a server to our table after sitting for ten minutes without anyone acknowledging us. Three people in our party, after a very long wait our food finally came out. One person ordered crab cake eggs benedict, and the meal was delivered without the crab cakes. Crab cakes finally arrived when everyone else at the table had finished their meals. The crab cakes were very fishy tasting. Manager never even apologized or acknowledged the mistake or poor service. One person at the table ordered french toast and commented that Ihop makes better french toast. Definitely won't be going back. Visiting Richmond as a family. We tried the poutine and found it to be indistinguishable from frozen fries covered with gravy from a jar. One of us could not finish the shrimp and grits. Everything was overly salty. Don’t waste your time and money. Out of town family came in for the weekend, so we tried Xtra’s for a Saturday brunch. It was an enjoyable experience, lovely atmosphere and great food! We will definitely go back! Good food and service, good portion size for the price of the meal, friendly staff. Enjoyable evening out for dinner, looking forward to the next visit. This is the second time we were here as we were impressed by the great service and food the first time, so we invited another couple to join us on this round. We were greeted warmly and cheerfully, and quickly seated at a table where we could have a quiet conversation. Great atmosphere. Ellen, our server was just superb, warm, attentive, listened well and gave good advice. Another superb, engaged staff member in round two. Highly recommend. Gem of restaurant that I don't think enough people know about in the crowded, sometimes a bit hectic Cary street locale. Perfect Oasis. Great food and service for a party of 11, Birthday Brunch. Food was excellent, but the wait for food took forever. The waitresses and waiters were great though. We checked out Xtra's for brunch as we like to try new places and brunch usually offers a variety of food in a more relaxed atmosphere. Xtra's is located on the second floor and the seating is ample and not crowded. It also has an outside balcony for when the weather is nice. The menu offered quite a few brunch items, as well as more for lunch. Brunch can sometimes define a restaurant's style of food they serve, some being simple and others being eclectic. Xtra's falls in between where they offer the standard items with their special additions, as well as more unique cuisine which make selecting worth a careful look. All items on the menu sounded good, choosing was the hard part. 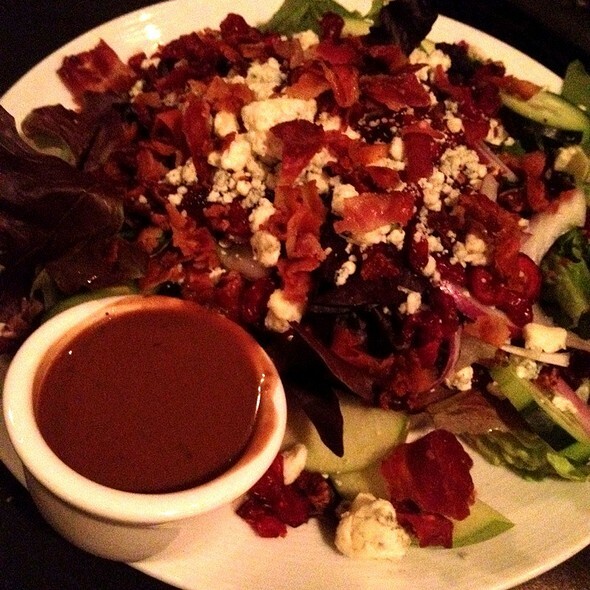 The entrees we selected were ample in size and quite tasty. Their prices were most reasonable and the service was above average. Great beer Bayern’s talapia tacos and had the bartender making my extra dirty martini almost as well as Xtra. Great time for a birthday celebration. Xtra's Cafe has a great vibe and artsy atmosphere. We had tasty appetizers and the happy hour was awesome. Our entrees were totally over salted and not one person in our party finished their dish. I would not get another entree when we return unless the salt is eliminated. Way too much! We Love Xtras. It has become our “go to” restaurant for quiet lunches or larger celebrations. The food is delicious, their signature cocktails are amazing. The coconut mojito can change your day. The service is impeccable. Highly recommend a Carytown Gem. Food was mediocre. Incorrect beer was served, then once corrected the beer was 9 months expired. Ultra was excellent! Great service. First time visit. Food was delicious and generous serving size for the price. Great drink specials at brunch on mimosas and bloody mary drinks. Will definitely go back. A wonderful treasure in Carytown. The food and beverages are amazing and the staff is outstanding. We love supporting a local gem. Xtra’s is as good as it gets. Come hungry and thirsty. Excellent as always. New bartender but still the best Dirty Martini in town. Chloe was great. Are out on balcony. I really wanted to like the place. Great decor and location. But the service was meh and the food was just ok. The food was great and the restaurant is beautiful! Had dinner here with my family as we all converged on RVA to visit my son. Great location in CaryTown. Nice, upbeat atmosphere, with pleasant decor. Food was good, though not outstanding. Our server was very pleasant and attentive. Felt that prices were fair. Would come back. Great service, great atmosphere and great food! Xtra's was a nice find in Cary Town. We were able to sit on the balcony overlooking Cary St. which was quite nice. The drinks were good and the food was fresh and tasty. We got the hummus plate to start, which was very good. We also got some of the pita pizzas which were good but nothing special. All in all, I would say that we would recommend Xtra's if you were looking for something casual and low key. Xtra’s is a dependable Saturday or Sunday brunch choice. 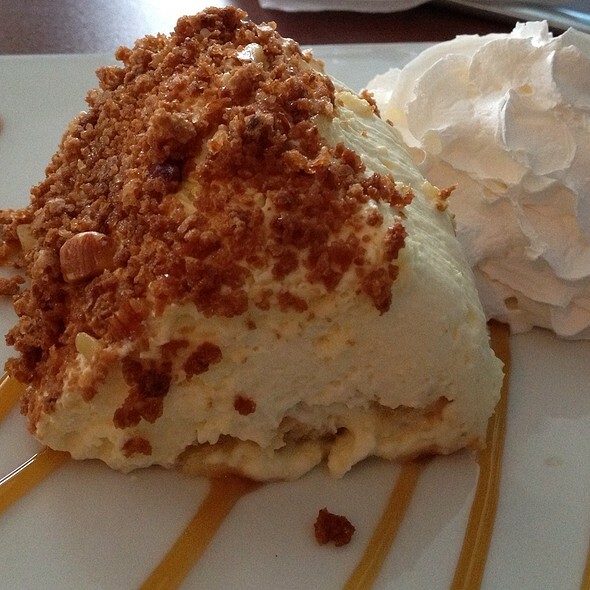 The food is well prepared and the wait staff are friendly and attentive. We especially love sitting out on the covered balcony overlooking Cary street. The second floor view makes for good people watching. Overall, good food and cocktails reasonably priced in a cool location. Our waitness got one person's order wrong and we asked for two checks but got one. Not sure why she didn't check the food before it was brought to the table. She also didn't know about happy hour. Have always had great service. Best Tuna Nicoise in a long time! The place was trendy, affordable, and the food was great! Wonderful food and good service! Perfect brunch spot. This was my second visit. I just moved to RVA and Xtras was my first restaurant experience. Taylor was wonderful and courteous. Gives great recommendations and remembered my drink order from my first visit. Amazing and beautiful space. Staff was wonderful. Will definitely be back again. We haven't been here in a while, so it was nice to come back to one of our favorite spots! The sangrias were exceptionally delicious today; kudos to the bartender! Everything went well except for one item; my wife's burger had mayo, which she asked to hold. The server immediately made things right by swapping out the bun. She said it was cooked perfectly! She also had the pickle chips, which she loved. I had the white knight pita pizza... excellent! Another fine experience. We added people to our party so had to wait a little, but that wasn’t bad. The service was extremely slow. It took over 5 mins for anyone to great us once seated, the drinks took forever, she took a long time to take our order, and then our food took 45ish mins to come ( we ordered a crab cake Benny, crab cake app, soup, and wings). This should not have taken that long. The crab cakes were meaty, but they were a little burnt and the cheese grits weren’t the best. The crab cake appetizer looked like they took a piece of American cheese and melted it on there. Good food and service, reasonable prices for the meal. Great food, great service. Sean was great. One of my favorite spots in Cary Town for brunch. Back to one of our favorites! Brunch this time. My wife had the Belgian Waffle; she said it was excellent! I had the Biscuits and Gravy... wonderful taste! They were busy (obviously), but service overall was a good pace; not too fast or slow. Xtra welcomed us back warmly! You really can't lose coming here! Arriving Richmond by train in Richmond for the day, we ate a late breakfast at Xtra’s Cafe prior to visiting the nearby museums that are an easy walk from the cafe. Ravi and other staff were delightful and attentive to us and our special needs adult son. The steak and egg breakfast special was delicious as were the roasted potatoes and cheddar grits. Our son thoroughly enjoyed the Belgium waffles and side of bacon. It was the perfect start to a fun day of eating and touring. We will return to the vibrant Carey Street district.